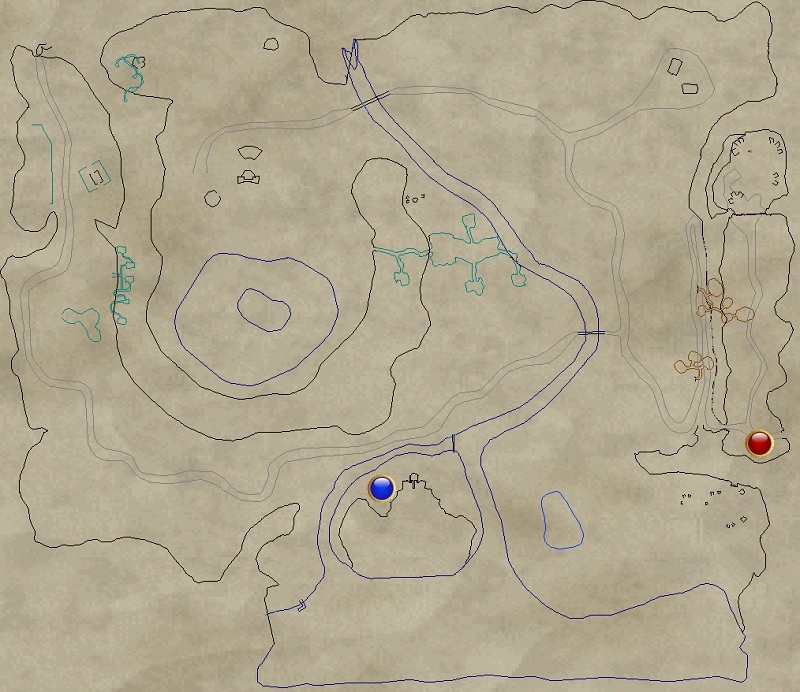 This step takes place near the Bloodmoon Keep zone in (shown by on the map). You will want to pre-clear this area. Click the Black Crystal you were given when you accepted the task. When you click the crystal, you will be challenged with 3 waves of orc mobs. These waves will come from the zone in to Bloodmoon Keep, and will auto aggro you. The first wave is 2 mobs, the second wave is 4 mobs, and the final wave is 5 mobs. Kill them all for task update. Return to the quest giver for quest completion, shown by . Congrats on your purity aug!